Okay, so I have to hold my hands up... I have not been updating AlwaysBoardNeverBoring as much as I should. I have dozens of games to review, including the truly horrific Thunderbirds from Susan Prescott games, and the far less horrific Battue: Storm of the Horse Lords. However, I have a good excuse. 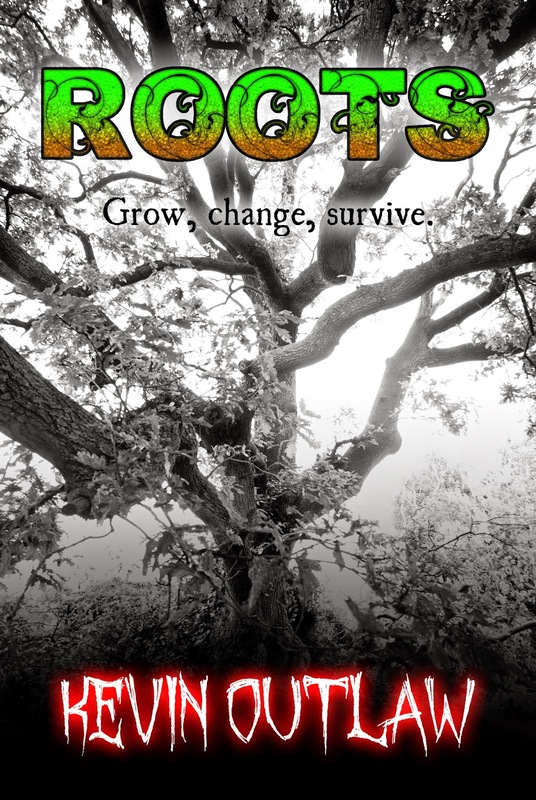 For the last month, I have been feverishly putting the finishing touches to my new novel for young adults, Roots. A mysterious tree, an incurable disease, a troll, a zombie, an immortal, an assassin, a giant earthworm, a missing girl, and one dead cat. Duncan has a list. It is a complete rundown of all the things he hates most in the world; and like many fifteen-year-old boys, he hates a lot. He hates that he can’t get the girl he wants. He hates that he isn’t good enough at football to be picked for the team. And he hates Carl, the school bully, who feels pretty much the same way about him. But Duncan is about to make a discovery that will allow him to get whatever he wants. The problem is, he isn't the only one. Roots is a horror fantasy science fiction psychological thriller mystery romantic comedy superhero origin story for young adults, from Kevin Outlaw, author of The Legend Riders trilogy. If that sounds like something you might like to read, the book is available through Amazon Kindle in all countries (English language only), and it is totally free if you are enrolled in the Kindle Unlimited programme. A paperback edition will be available in the New Year. And that's all you need to know. I hope you will consider downloading the book, sharing it with your friends, and posting reviews. It all helps to make me a little bit happier. And isn't making me a little bit happier what we all want out of life? I hope it sells a lot! Let the critics be favorable!